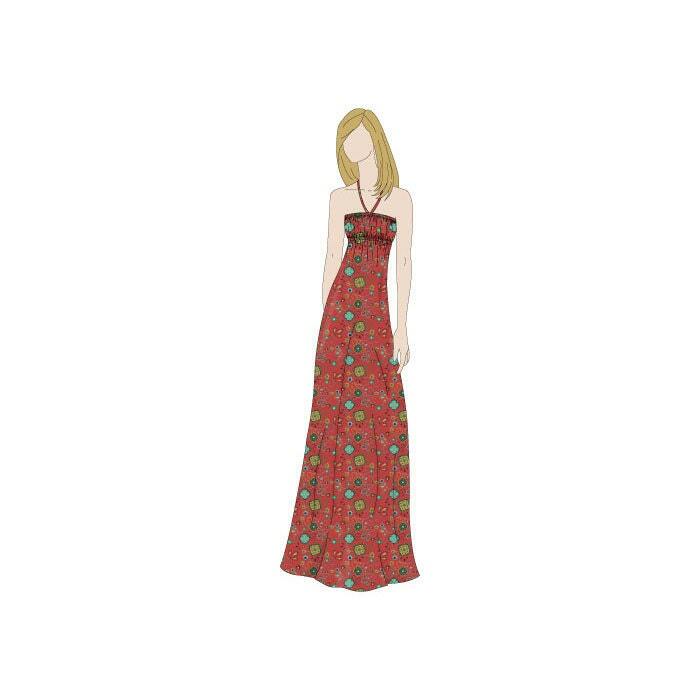 This is a fantastically simple summer maxi dress pattern. You can whip this up in an evening with great ease! 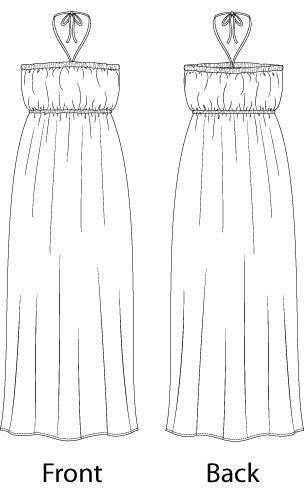 The pattern also includes the cutting line to make this into a knee length dress as a variation. The dress features a halter strap, although this can be optional as the dress is elasticated at the waist and above the bust, and will hold itself up, so it can be worn as a tube dress. The elasticated top also makes this dress a comfortable dress for summer and beach wear. It's a very versatile dress pattern, if you've made the maxi dress and the knee length dress you could always chop the pattern down further to make a top to wear with you jeans as well! * Fabric 107cm wide will fit sizes 8-18, fabric 115cm wide will fit sizes 8-20. For size 22 use 160cm wide only. Fabric narrower than 107cm is not suitable. For further information please see the sewing instructions contained with the pattern. Some sewing knowledge is needed and an understanding of pattern symbols and markings.